Earlier we brought you a brand new concept from the icy world that is Russia, the Taurus 2×2. 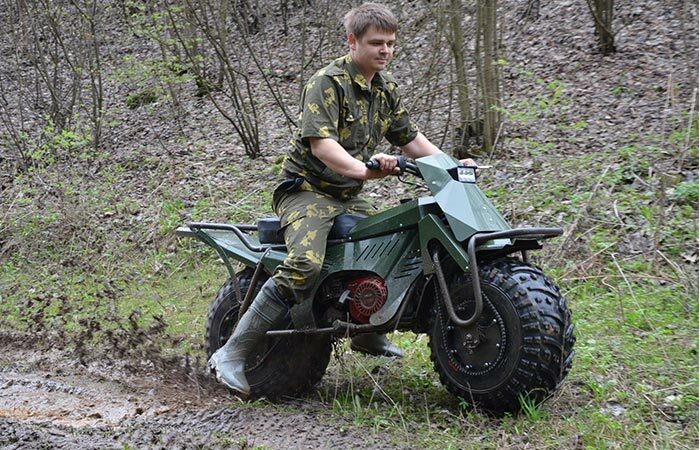 Since then, however, the Russian minds at Moto 2×2 have further developed their all-terrain motorcycle to bring us the final product which is more powerful, lighter and collapsible. Presenting the brand new, Taurus 2×2 All-Terrain Motorcycle. 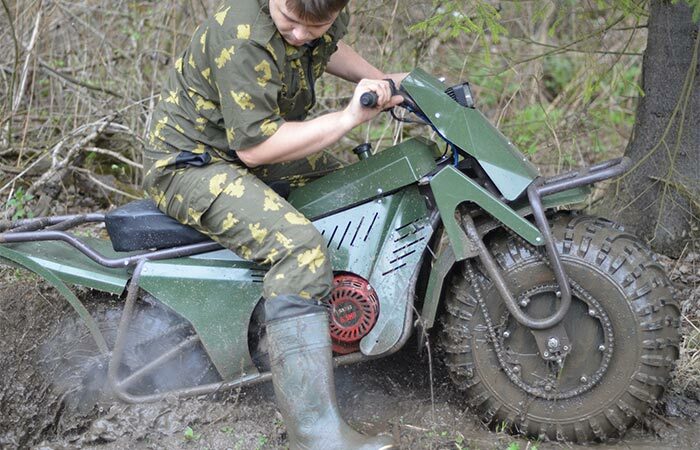 Having a one-wheel drive on a motorcycle is pretty awesome, but we believe that we aren’t contested in saying that only the Russians were unique enough to connect a drive to both wheels and, thereby, produce an all-terrain beast! The exceptionally large tires allow you traverse the most difficult terrains since it delivers excellent power to surface ratio. The Taurus 2×2 featuring a one-of-a-kind two-wheel drive system couple with exceptionally large and brilliant King tires will have you cruising over the most impassable terrains in no time. The power to the drive trains comes from a 4-stroke 210cc/7hp motor that can allow you to reach speeds of up to 35 km\h with an excellent fuel efficiency of 1.2l/hour. To get more power out of the motor, you’ll be pleased to know that the Taurus is outfitted with a 2-speed transmission and can turn at a 55⁰ angle. For stopping power, each of the wheels are fitted with their own disk brakes. Check out the video below. Be it snow, sand, mud or even a bog, the Taurus 2×2 will never let you down! Knowing that at times, one could get stuck in a bog, this motorbike is quite light at approximately 89kg and can easily be carried or pushed out of any sticky situation. What further adds to the uniquity of this ATV, is the fact that is collapsible and can be pulled apart in minutes so that you can transport it in the boot of your car. It truly does make the perfect riding machine for camping, hunting, fishing or even just exploring across sand, snow, ice, mud and water!